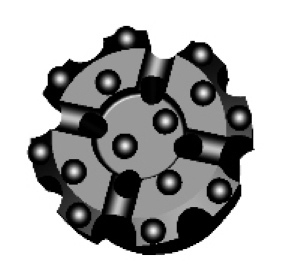 AMS stocks a wide range of Down the Hole (DTH) hammers ranging from 4 to 8 inch in diameter. 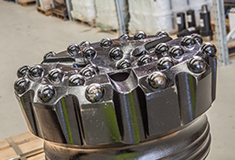 We also carry a wide variety of DTH bits in numerous shank sizes and can custom make any type of bit to suit all drilling requirements. American Mining Services LLC is the official exclusive distributor for Shareate Tools Ltd products in North America. 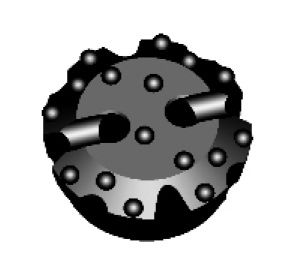 Flat Face bits are a general purpose bit that will work in all rock conditions but should be used in hard or abrasive conditions such as granite, basalt, and hard limestone. 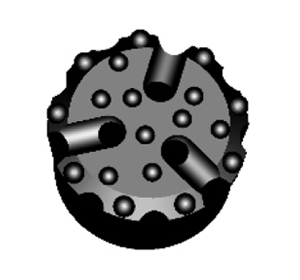 Flat face bits are the best choice for drilling in a high silica environment. 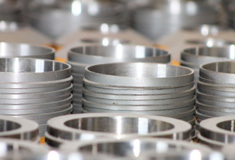 Flat face bits produce good penetration rates and better erosion pattern. 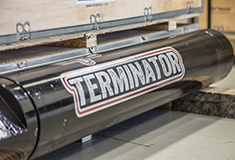 Suitable for fast penetration rates in medium to hard rock formations. This bit face is designed for high air pressures. 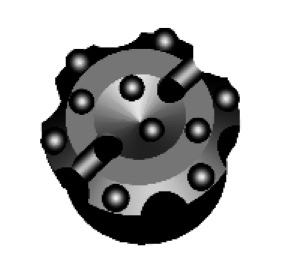 Convex Face bits are designed for fast penetration rates in softer rock like shale and limestone with low silica content. Concave Face designed for unconsolidated or broken rock. 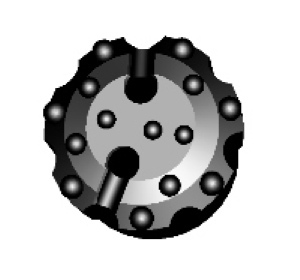 These face features will help drill straighter holes in medium to hard formations. For high penetration rates in soft to medium hard and fissured rock formations. Low to medium air pressures. Maximum hole deviation control.